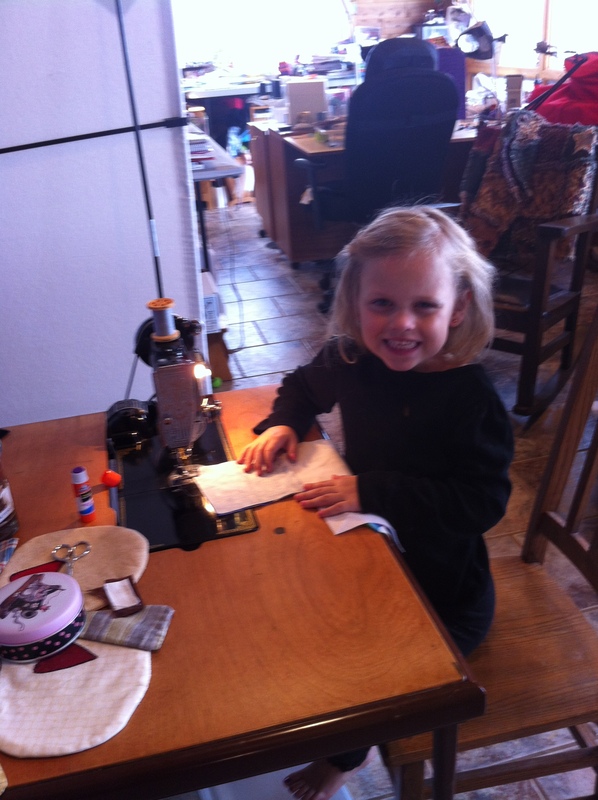 Last weekend my grand-daughter Gabby approached me with an interesting request, ” Grandma, will you teach me how to sew”. At first, I thought she meant to sew by hand because she had watched me sewing a penny rug ( a small candle rug made from wool with small leave appliques all around it). I got out thread and needles and was getting together some wool to create a rug for her and she said, ” no grandma, I mean on this cute little machine”. I looked at her and she was pointing to my 221 singer featherweight. My immediate thought was… 1. this girl has good taste in machines. I own many machines, and by many I mean 14…. but don’t tell my husband, he has no idea. I own 2 Bernina, 2 juki’s, a juki serger, 2 janomes, and 6 featherweight ( all different in color and model), a singer 94 that Ian gave me as a birthday gift when I turned 50 ( in mint condition I may add), and a singer treadle that was my mothers. But this little girl choose my very first featherweight. 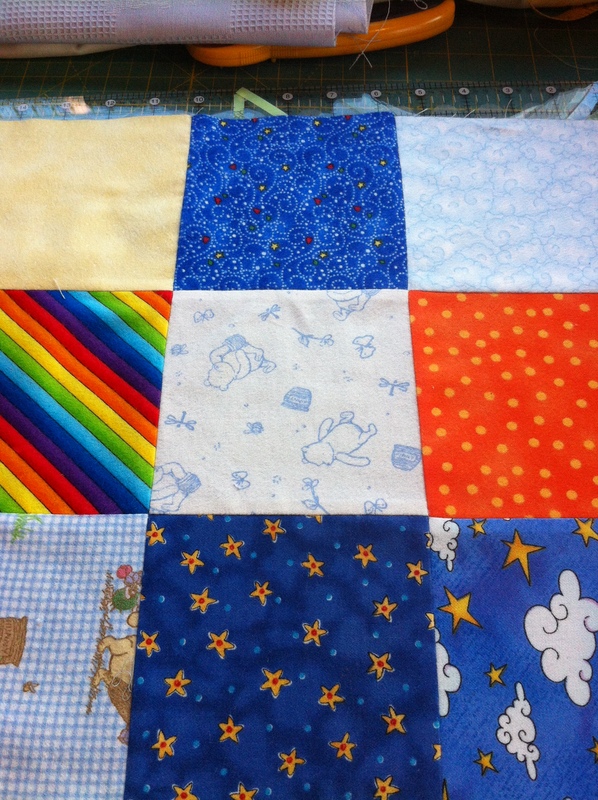 Now my second thought was this… I FINALLY HAVE A QUILTER!!!!!! I am so EXCITED!!!!!! LOL I am sooooo EXCITED!!!! okay, Ive regained my composure. I picked up my camera and decided to document this ostacious event, so with this blog you will see plenty of photos. 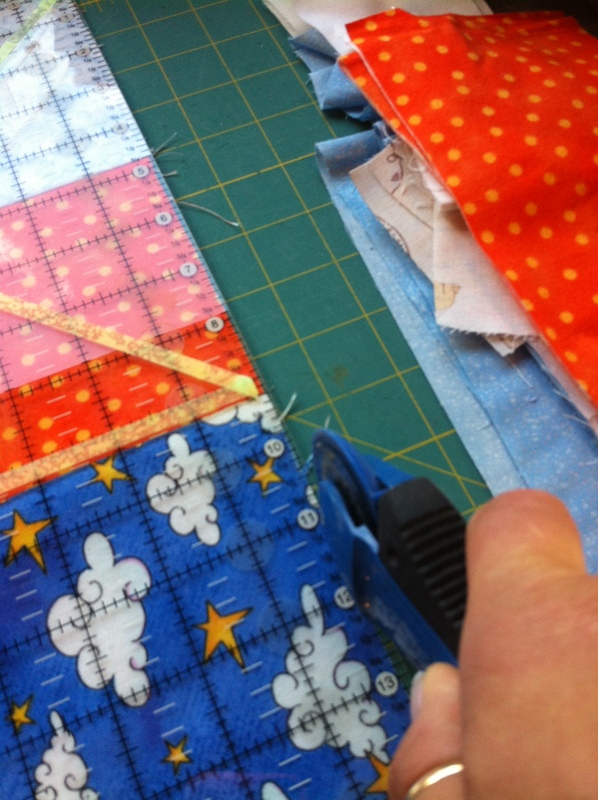 Consider it quilting 101.
square ruler, squaring up block. 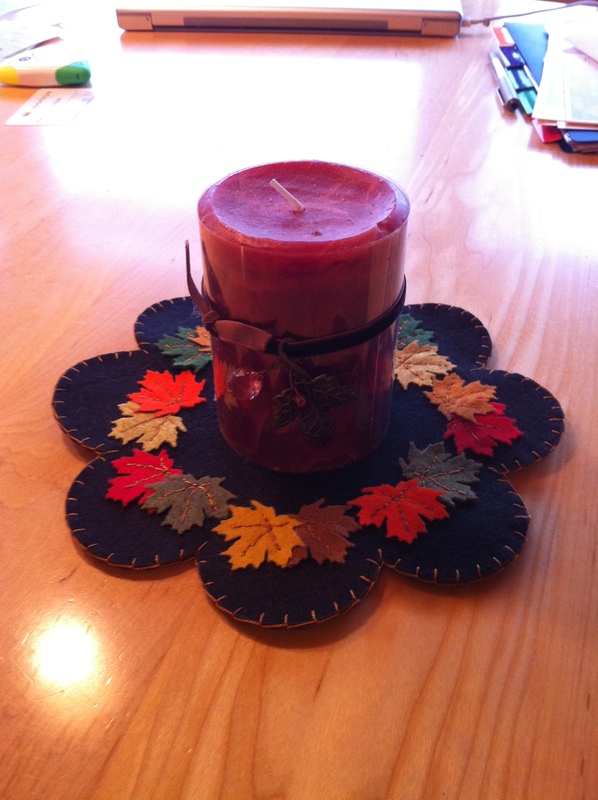 fortunate for us… Gabby did a great job keeping her block square. Her block had very little taken off and was absolutely perfect when it was done. I wonder if you would like to see the finished product? We took her nine patch and turned it into a nine patch tossed pattern by eleanor burns. 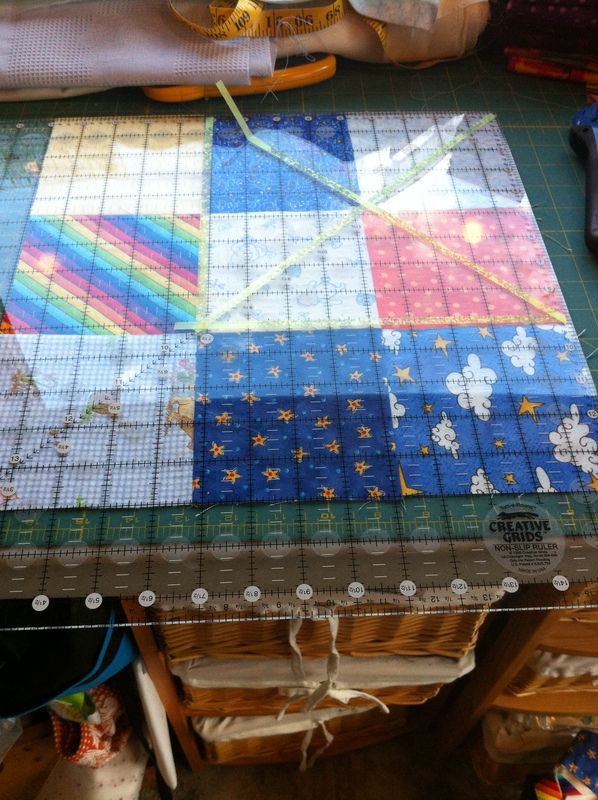 you can see the final quilt below minus quilting, that will be for another day. still needs to be quilted, but I want Gabby to help with that. i am certain that will be another story. Very nice Gabby and Kelly…. I laughed out loud at this post! 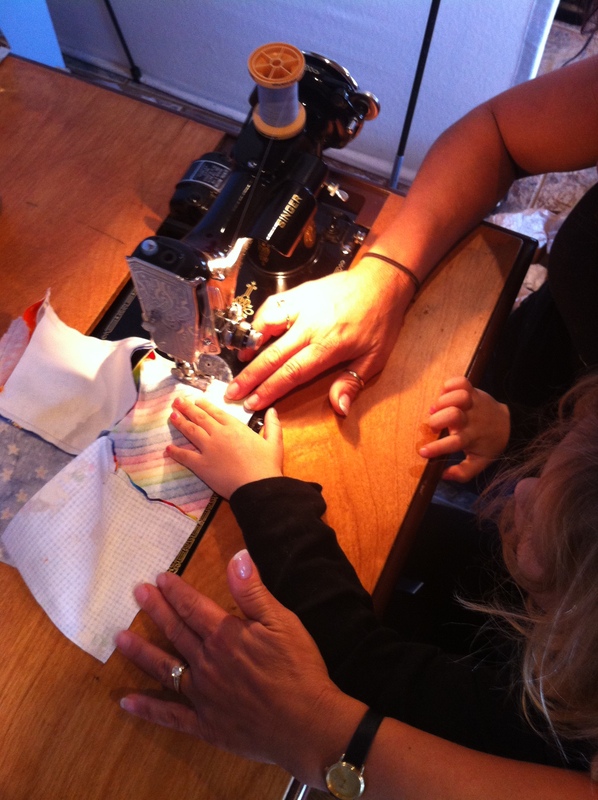 I truly understand the excitement of a possible future quilter in the family. 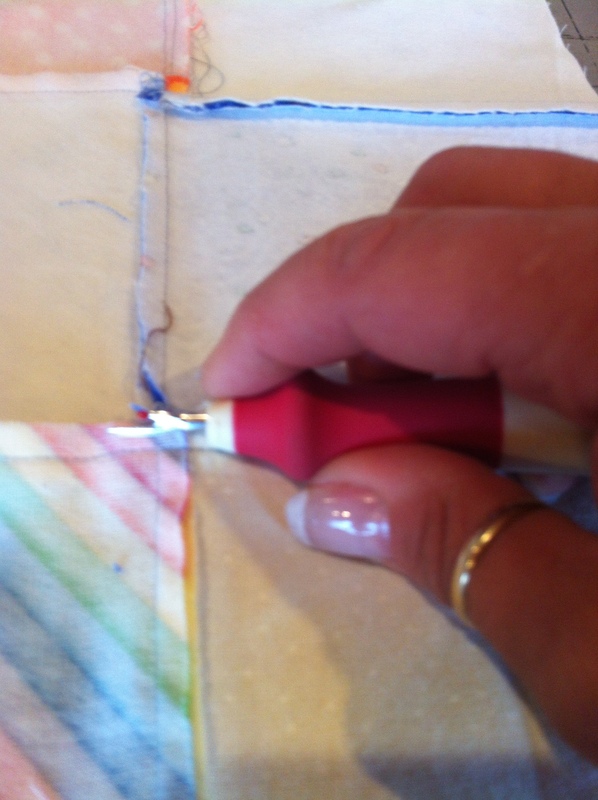 My family thinks I’m nuts when I want to stop at all the quilt stores, but I think I am beginning to “gain ground” with one of my daughters – I have introduced her to Batiks. 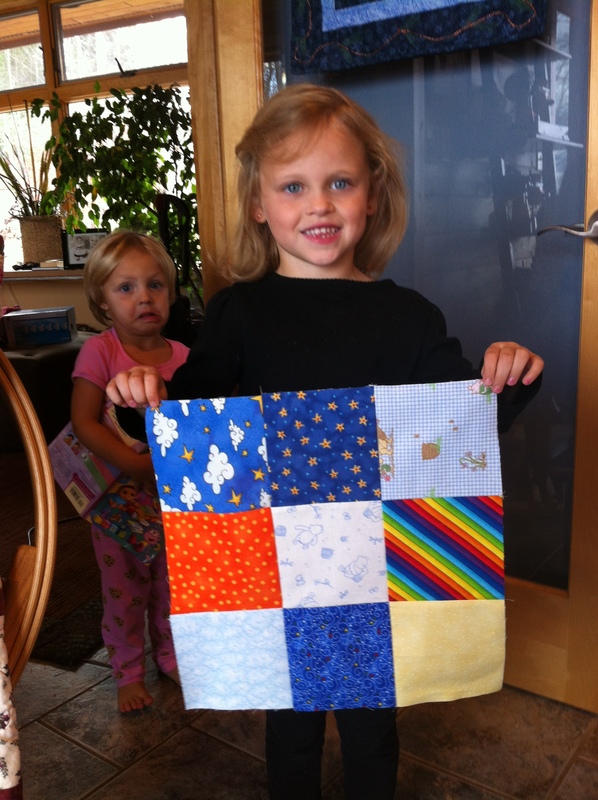 Now, she sees that quilts CAN be “cool” and she is more interested in making her own. I have yet to see her do it, but I noticed last night that she has some Batik fabric on her Christmas list. I am STOKED!!! LOL! I posted a reply to you but it posted as a comment, you will have to check back and read my comment. funny isnt it Ida, how badly we want to share our passion with the ones we love. Up until now I was satisfied that they covet my quilts…each child has like 9 quilts each, and their children do as well. they want them for every occasion because it is a part of me, I am very blessed. 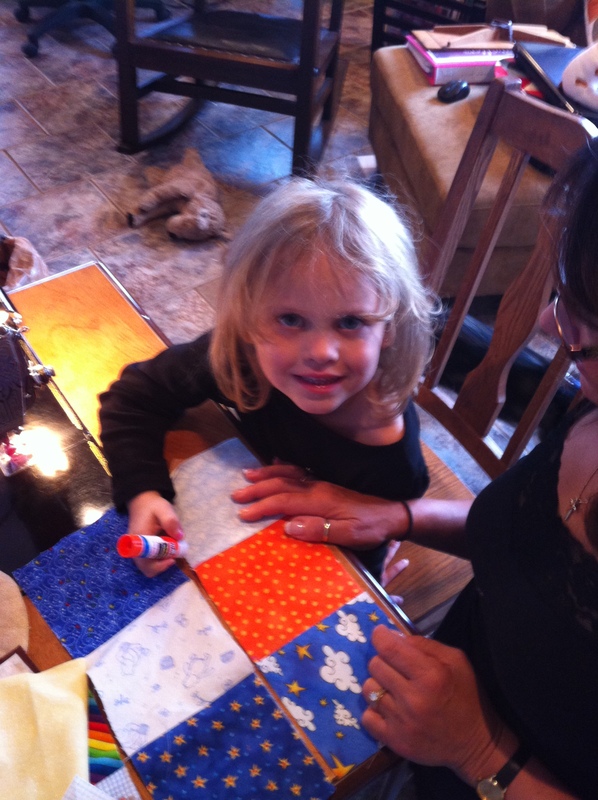 But when Gabby wanted to quilt, it melted my heart. If she continues, I will definitely give her one of my featherweights. 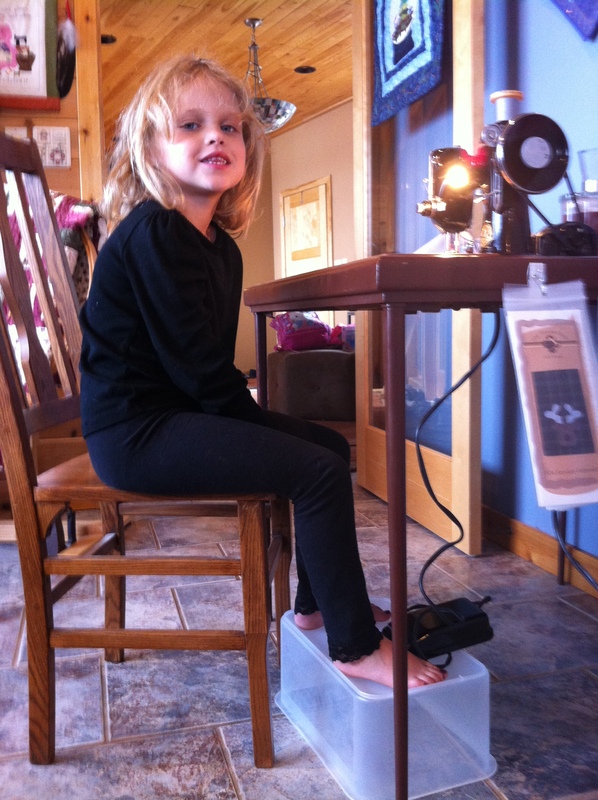 She was so Patient, I can hardly wait to teach her how to longarm. 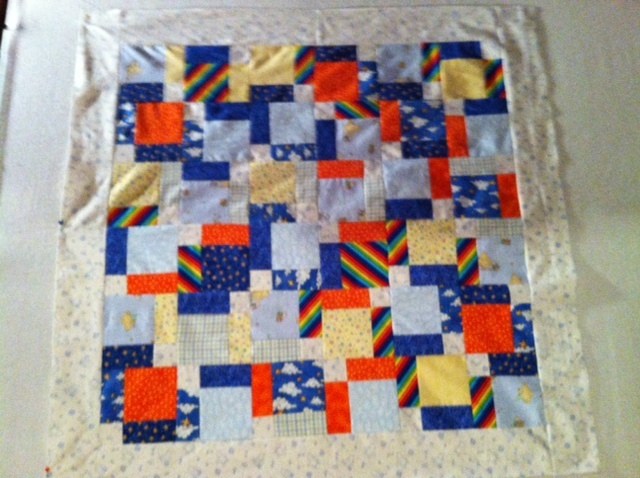 I am thinking I may enter one of her quilts at MQS next year. LOL, putting the cart before the horse. But I have faith in this little sweetie. Thanks to everyone for sharing.